Gray’s essay was one of four commissioned for the catalogue publication produced to accompany Renée Green’s major retrospective exhibition, ‘Endless Dreams and Time-Based Streams’, at the Yerba Buena Center for the Arts, San Francisco (2010). 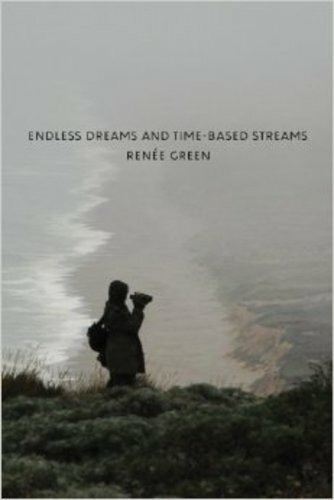 It followed a presentation Gray gave at the National Maritime Museum, London (2009) about Renée Green’s exhibition ‘Endless Dreams and Water Between’, curated by Lisa Le Feuvre. The text is unique in the scholarly writing on Green’s work in that it gives a reading of ‘Endless Dreams and Time-Based Streams’ that is both grounded in the phenomenological experience of the exhibition and able to provide conceptual insight into complex sets of materials and histories. The engagement with Green’s practice built on research into lusophone radical filmmaking and utopian architectural forms, historical moments of resistance and radical communities. This essay is part of a body of work that Gray is developing, concerned with contemporary art that produces new mappings of the spatial and artistic formations of lusophone post-coloniality and post-communism. This is particularly in relation to cross-cultural translations of modernism, where Gray moves conceptually from utopia and heterotopia to a notion of lusotopia as a specific category of utopia grounded in the shared experience of Portuguese colonialism and anti-colonial revolution, re-animated in the present as a form of critique. Gray developed the text for a peer-reviewed article, ‘A lingering lusotopia: Thinking the planetary from Angola’, to be published in ‘ARTMargins’ in 2014.